Collendina’s winnable two-day clash against A1 ladder leaders Ocean Grove was marred by rain delays which resulted in a draw at Ray Menzies Memorial Oval on Saturday. 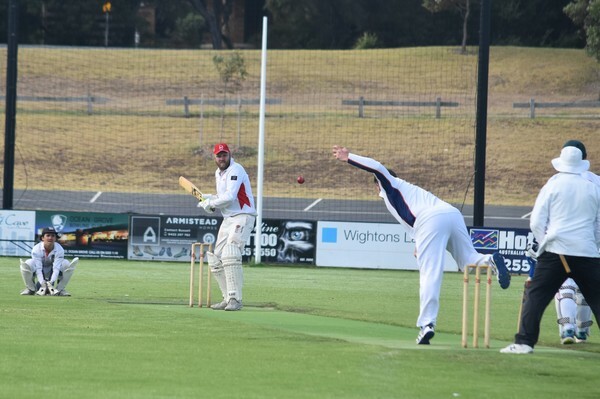 The Cobras seemingly had Ocean Grove on the ropes at 8/142 to end play on 9 February, however time proved the enemy with 70 overs bowled – five overs short of the required 75 over total. Collendina compiled a competitive 218 from 74.2 overs on day one. 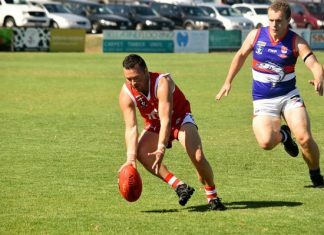 Both teams shared three points as Ocean Grove retained top spot (57 points), while Collendina sits in seventh (18 points). Cobra captain Nathan Walter lamented the drawn result after his side failed to snap a six-game losing streak. “It was one (game) that got away from us,” Walter told the Voice after the match. “It is definitely one (game) that we want to win, there is no love lost, there is a few blokes you just want to beat to put it nicely. 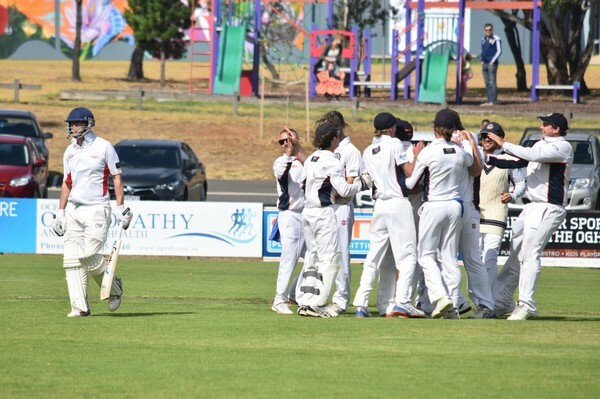 A heavy defeat loomed for Ocean Grove after they fell to 7/75 and lost 7/26 at one stage despite being 0/49. 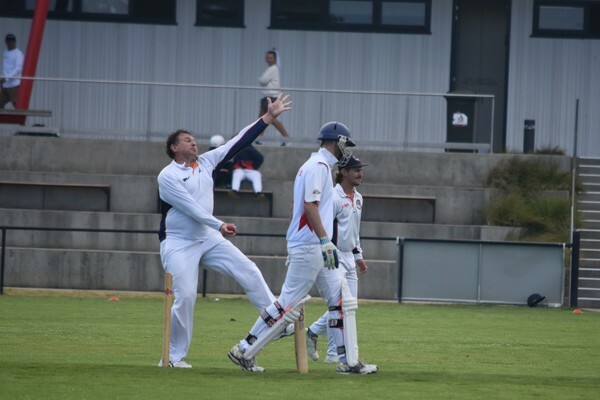 Ocean Grove captain-coach Paul Jubber who returned from an overseas vacation where he missed four matches, praised gun Grubber all-rounder Matt Caulfield after he saved the day with the bat. Caulfield hit his third half-century of 2018/19 and belted seven boundaries in his knock of 54 not out. Caulfield took 4/30 from 14.2 overs with the ball one day one. Grubber team-mate Tom Beasley (5 not out) and Caulfield shared in an unbroken 39-run ninth wicket stand. “Matt Caulfield has been amazing for us all year with bat and ball,” Jubber said. Jubber said it was a game the Grubbers had escaped with a draw. “We definitely got away with one, losing 7 for 20 odd, the conditions, losing five overs and putting back into the normal conditions situation,” he said. Equally, Cobra ace bowlers Charlie Lamb and Jye Hearps were brilliant, the star pair each took three wickets. Lamb bowled his heart out and finished with 3/40 from 31 overs, while Hearps was just as dangerous with 3/40 from 18 overs. Lamb took the prized scalps of Paul Jubber (5) and Michael Kenneady (2). On day one, veteran Cobra Richie Peters wound back the clock with 57 and shared in a second wicket 104-run stand with captain Nathan Walter (62). Ben Ricardo chipped in with a valuable 41 before he was run out by Michael Kenneady. COLLENDINA A1 hosts Portarlington in a two-day clash which starts this Saturday, while Ocean Grove A1 travels to Barwon Heads for its two-day game. 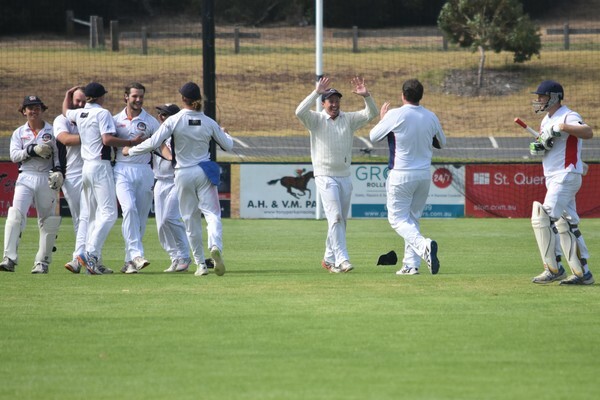 IN B1, Portarlington (5/122) defeated Collendina (106) in their two-day clash at Collendina. The eighth-placed Cobras remained anchored to bottom spot in B1 with two wins and 10 losses this season. COLLEDINA scored a 14-run win over Portarlington in its two-day game at Bellarine Secondary College’s Ocean Grove campus on Saturday. Batting first the Cobras were all out for 170 from 51.2 overs. In reply the Demons (156) fell 15 runs short of victory on day two. 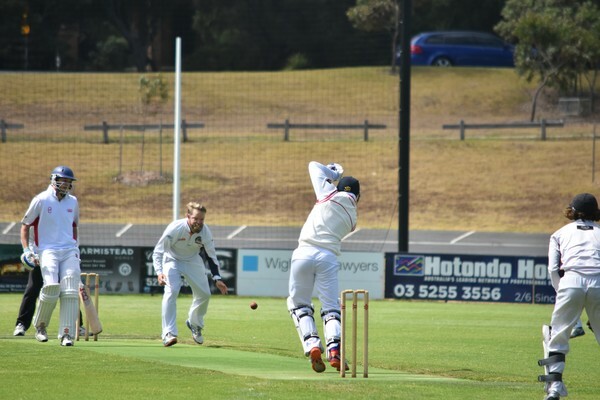 THE Cobras had the bye in the D Grade one-day competition and will next face Drysdale this Saturday at Drysdale.